Bottle caps can give a fresh twist to a plain belt. A bottle cap belt is a bold accessory that adds interest to an outfit. 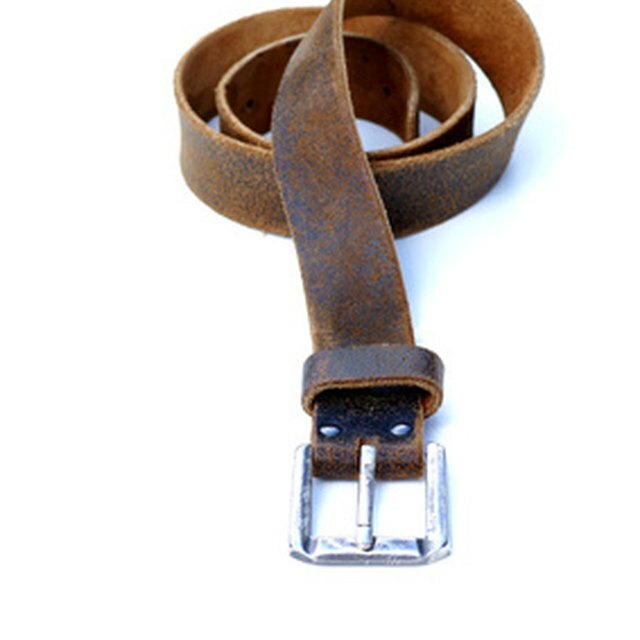 It is easy to attach bottle caps to an existing leather belt to give a plain belt a new, more interesting look. You can use one color of bottle caps, alternate a pattern of colors or mix a random assortment of bottle caps. It all depends on what look you would like to create in the finished product. Put on the belt. Make a mark where the buckle falls on the end of the belt. Measure the length (in inches) from the belt buckle to this mark. Divide this measurement by 1.25 to get the number of bottle caps it will take to cover the length. Count the bottle caps to make sure you have the right amount. Make sure you have this number of rivet shafts and caps as well. Measure 3/4 inch horizontally from the belt buckle. Make a mark 3/4 inch from the belt buckle and 3/4 inch vertically from the top of the belt. Continue marking 3/4 inch from the top every 1 1/4 inches for the remaining length of the belt until you reach the end mark. Drill a hole at each mark in the belt. Drill a hole in the center of each bottle cap. Line up the bottle caps in the order you plan to place them on the belt. 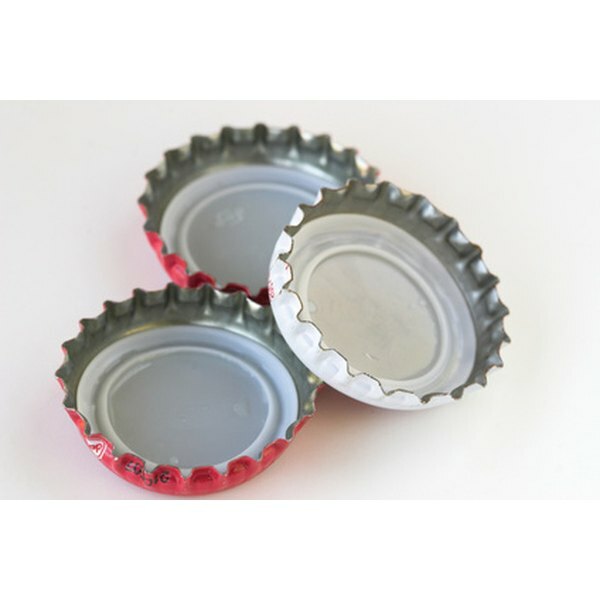 Starting at the belt buckle, place the back of the bottle cap against the front of the belt. Line up the hole in the belt with the hole in the first bottle cap. Push one end of a rivet shaft through the hole in the belt and the bottle cap. Place the rivet cap on top of the rivet shaft. Use the tool that comes in the rivet kit to hammer the two ends of the rivet together. Repeat this process, continuing to attach the bottle caps one at a time until you reach the end of the belt and have used all the bottle caps. Drill through the bottle caps on a block of scrap wood or other scrap material. If you use a belt that is less than 1 1/4 inches wide, the bottle caps will hang off the edge and the belt. If you use a belt that is more than 1 1/4 inches, the belt will show at the top and bottom of the row of bottle caps. Santa Fe native Melyssa Holik has been writing since 2002 for publications such as "The Round Up" and "The Las Cruces Bulletin." She earned a Bachelor of Arts in journalism and a Bachelor of Fine Arts in graphic design and photography from New Mexico State University.